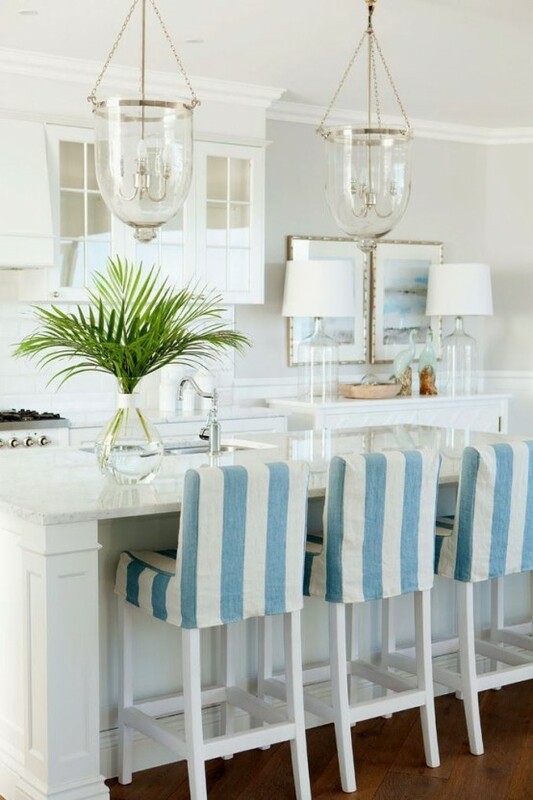 If you are decorating a coastal or beach house, or just want a piece of beach in your home, this roundup is for you. 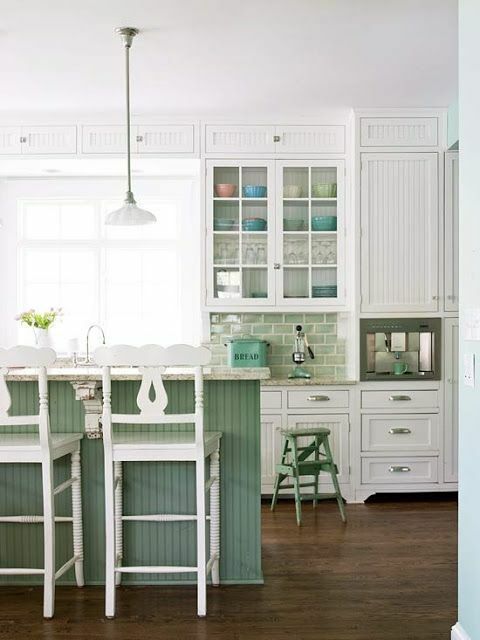 A coastal kitchen is a fantastic peaceful place where you’ll feel relaxed and holiday-like. 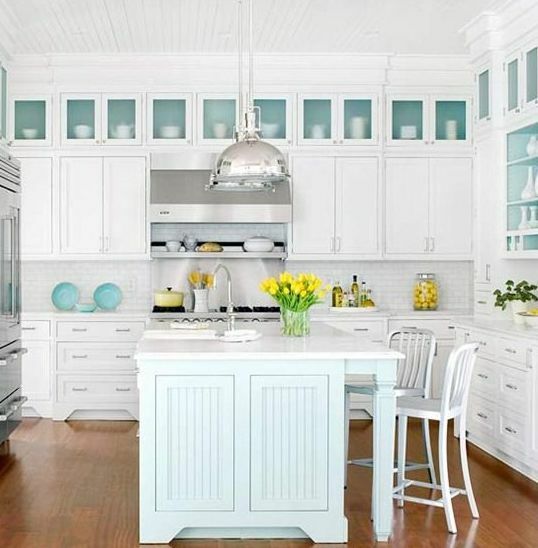 For decorating a beach-inspired kitchen take aqua and turquoise or blue shades, you can mix them with light grey or white. 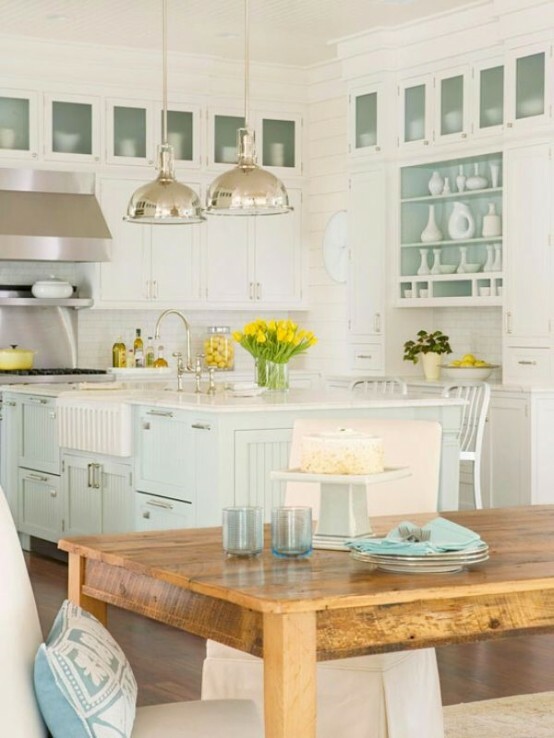 Add natural, maybe rough wood, beach-inspired lanterns or lights, brass and some distressed furniture and signs. 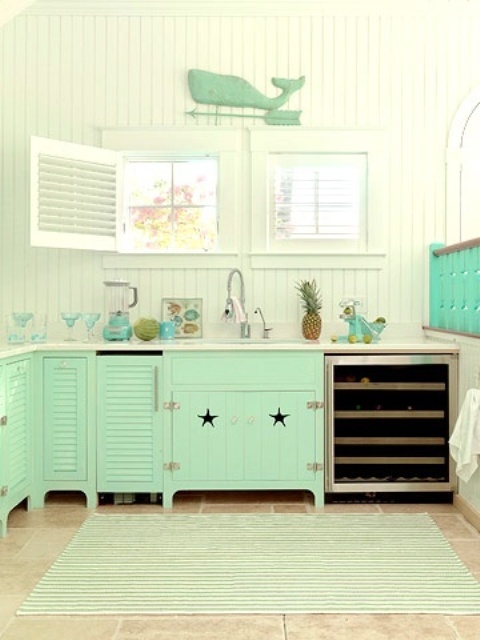 Don’t forget to use your beach treasures for décor: shells, urchins, corals and pebbles. 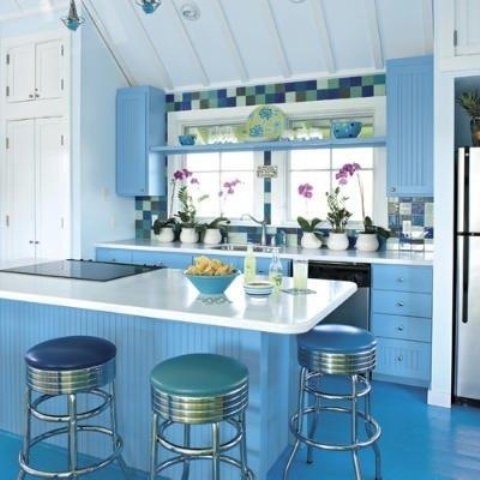 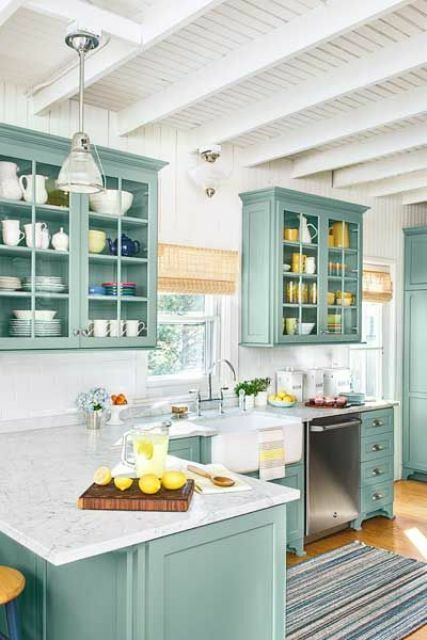 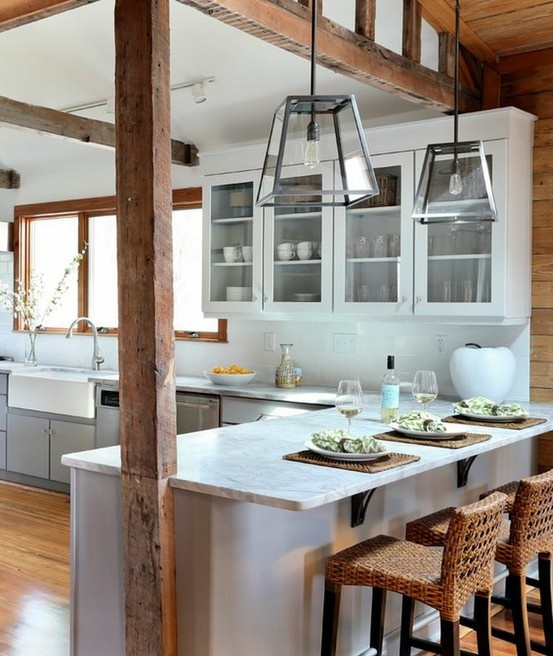 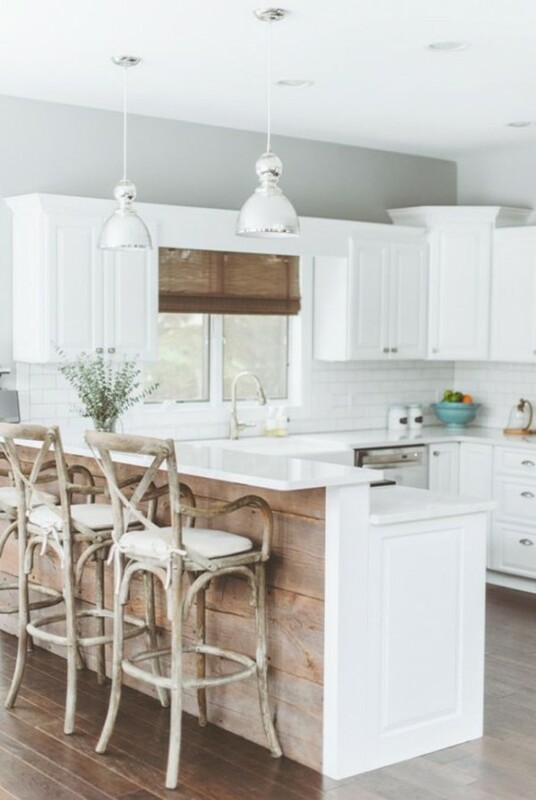 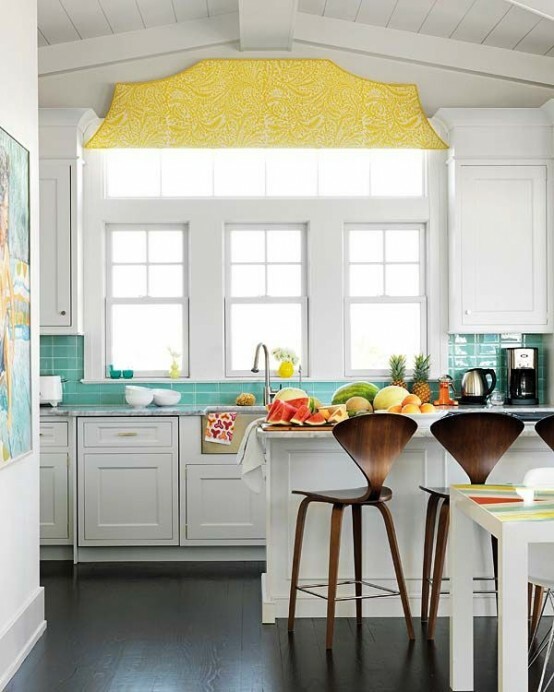 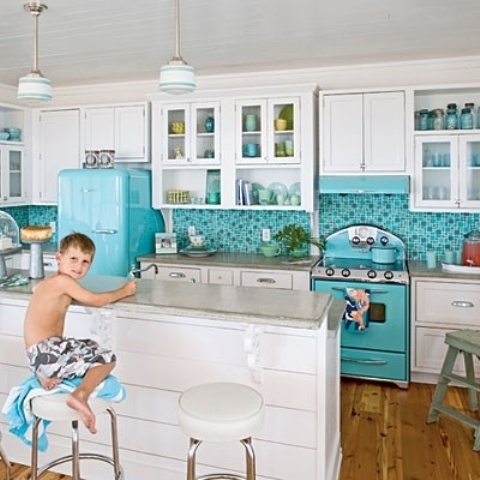 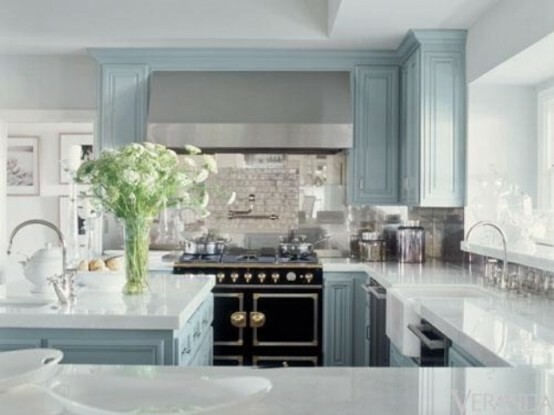 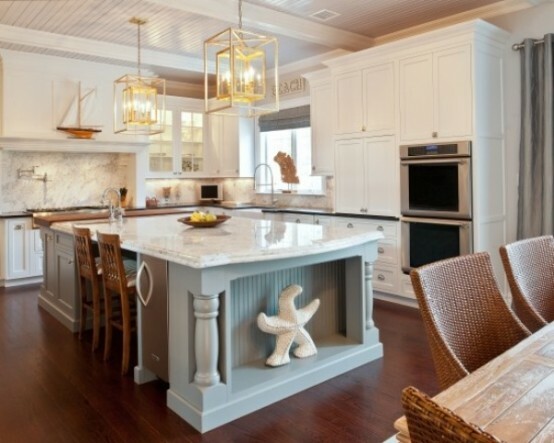 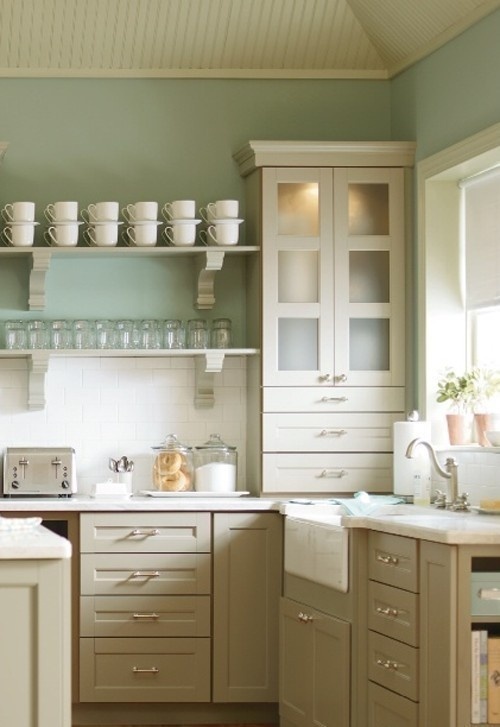 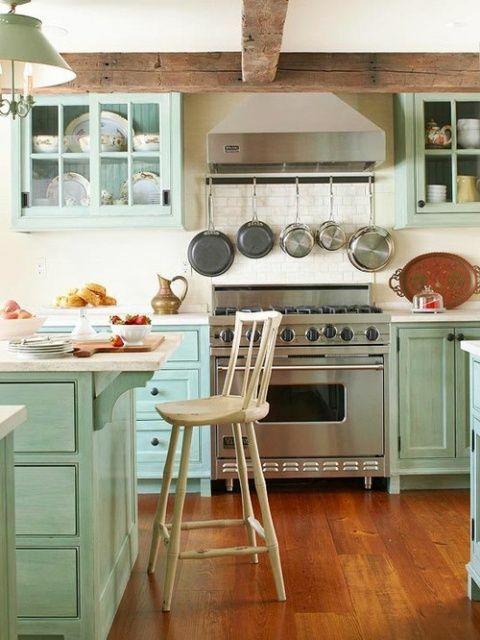 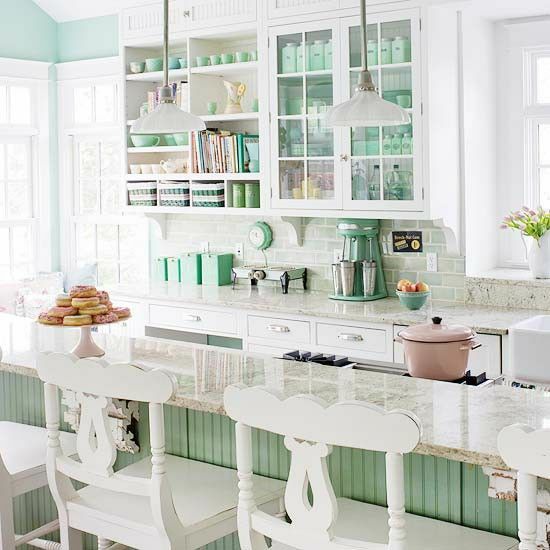 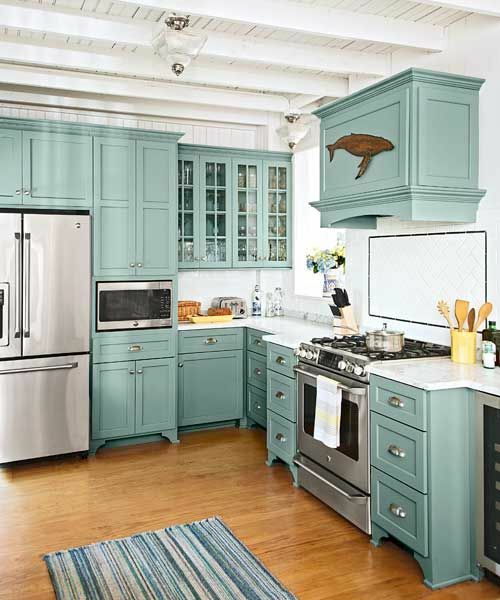 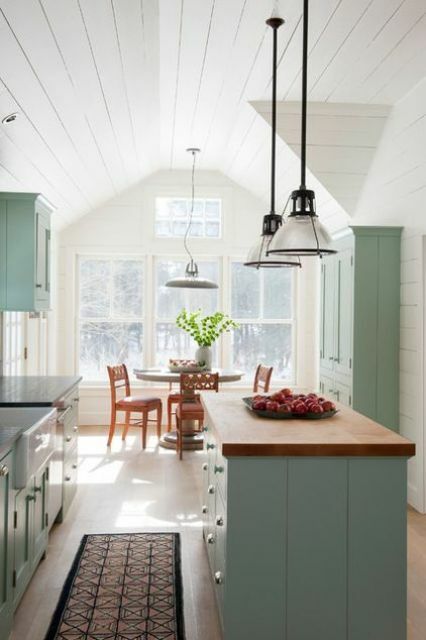 Get inspired by various coastal kitchens below and create your own beach-inspired space!